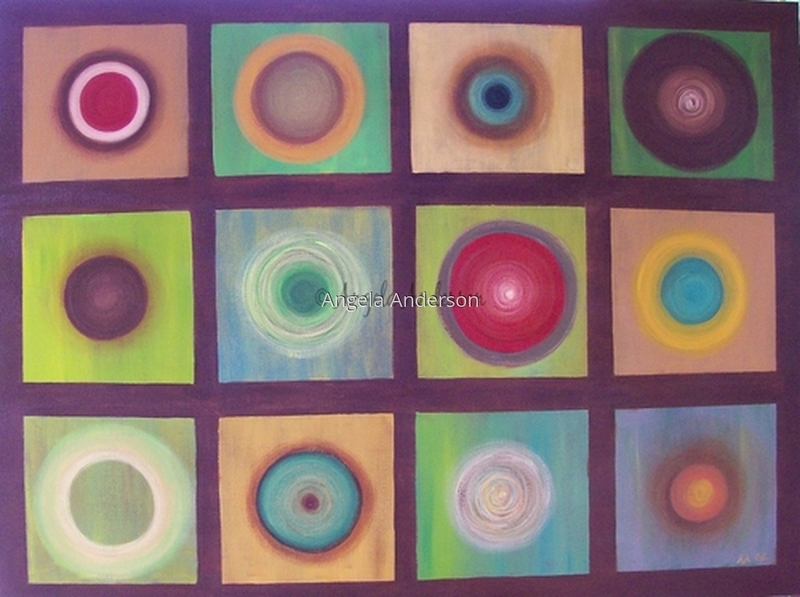 Modern abstract with circles in squares. Commission. Contact artist for information on ordering something similar.